The public lacks confidence in both government and business leaders, Business School Dean Nitin Nohria and Kennedy School Dean Douglas W. Elmendorf wrote in an editorial for the non-profit media website "Project Syndicate" Monday. Using examples of effective leadership from across the public and private sectors, Nohria and Elmendorf argued that leaders must demonstrate certain traits in order to regain the trust of their constituents. 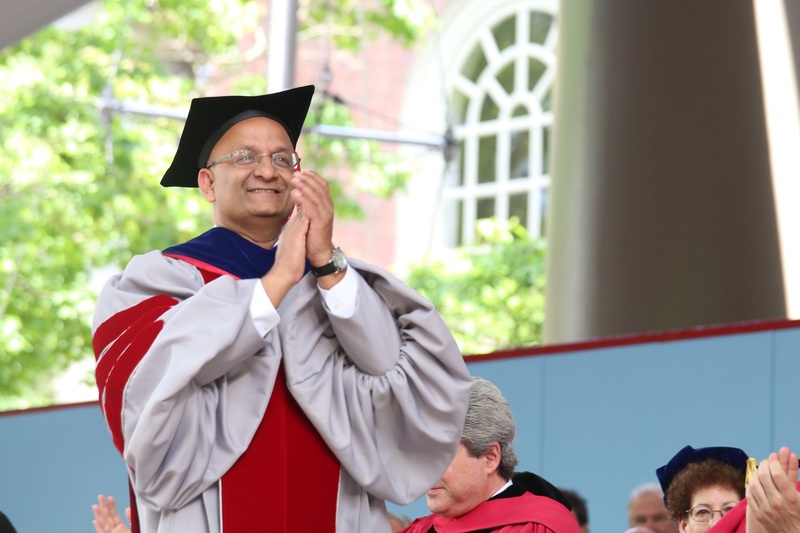 Their editorial on leadership comes as Harvard searches for its 29th president—a role faculty and alumni say could be filled by Nohria himself. The deans opened their op-ed with two statistics from the Edelman Trust Barometer, which measures public trust in governments, businesses, NGOs, and media organizations around the world. According to their 2017 poll, 63 percent of people globally consider CEOs not credible or only somewhat credible. This percentage rises to 71 percent for government officials. Elmendorf and Nohria warned of the consequences of public distrust in societal leaders. “Distrust leads to political polarization, widespread anxiety about the future, and uncertainty in domestic affairs and international relations. And these symptoms then reinforce the loss of trust, creating a vicious circle,” the two wrote. The deans then offered suggestions for business and government leaders to reverse the downward trend in public confidence and highlighted several core qualities of effective leadership. The best leaders, the deans argued, must value truth and evidence in decision-making. The authors cited billionaire Warren Buffett and former British Prime Minister Winston Churchill as individuals who showcased this truth and honesty. Elmendorf and Nohria also wrote about the importance of respect for individuals of all backgrounds, citing the work of Apple CEO Tim Cook as an example of a business leader effectively creating an inclusive organization. Another key quality, the deans wrote, is the ability of leaders to balance and learn from a variety of different and conflicting viewpoints in a civil manner. 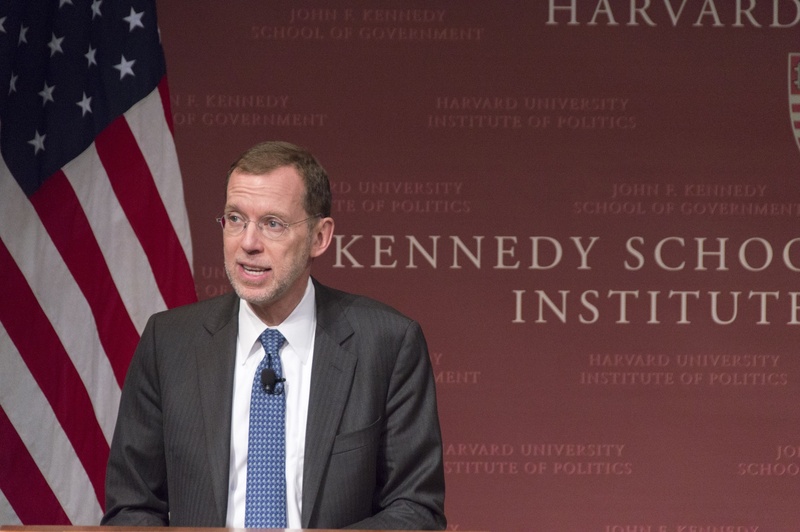 In the fall, Elmendorf led the Kennedy School through several controversies surrounding contentious speakers, with protests at a speech by Education Secretary Betsy DeVos and after the school withdrew Chelsea Manning’s fellowship following backlash from within and beyond the University. Nohria and Elmendorf emphasized one final quality essential to effective leadership: the best leaders seek to improve the lives of their citizens or customers. “Government officials must build and defend robust civic institutions and political processes that serve the public interest; and businesses must ensure that they are working effectively for all of their stakeholders,” Nohria and Elmendorf wrote.